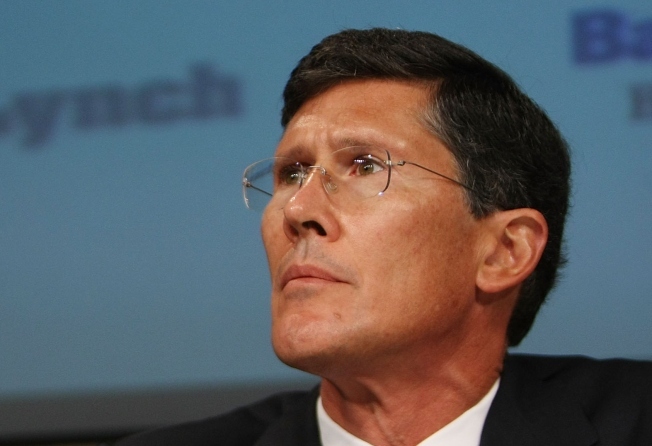 John Thain has been gored by the Merrill Lynch bull. As the once venerable brokerage house Merrill Lynch crumbled, CEO John Thain spent a cool million to redecorate his office and lined the pockets of execs with billions in bonuses. Yesterday, Thain joined the armies of the unemployed. Thain was relieved of his duties by Bank of America CEO Ken Lewis just a month after the company bought Merrill in a fire sale for $19.4 billion dollars, reports Bloomberg News. "(Lewis) flew to New York today, met with John Thain, and it was mutually agreed that his situation was not working out, and he would resign," Bank of America spokesman Robert Stickler said. Among the problems that plagued Merrill as the global financial crisis brought the company to its knees was Thain's freewheeling ways. In December, as the company wrapped up a fourth quarter that saw $15 billion in losses, Thain dished out $4 billion in bonuses to his executives. Such year-end bonuses are typically given in late January. The timing of the lavish handouts has drawn the attention of New York Attorney General Andrew Cuomo, who has launched an investigation. Earlier in the year Thain, hired designer Michael Smith, whom Michelle Obama has just retained to touch up the White House family quarters, to redecorate his office The bill came out to $1.22 million. The invoice included such expenditures as an $87,000 rug, $28,000 for four pairs of curtains and, most incredibly, $1,405 for a wastebasket. Don't worry, the Obamas have given Smith a budget of only $100,000.